1. Sitting on an ocean dock somewhere with a box full of blue crab and some icy cold Corona. 3. Sharing a chocolate milkshake with someone you love. 4. Having the patience to let a Lindor Truffle melt in your mouth until the hard shell diminishes and your mouth fills up with that velvety, creamy, smooth chocolate from the inside. 6. That moment when you discover that tomatoes are at their ripest. 7. Hovering over a table with close friends at a shrimp and/or crawfish boil. 8. The decadence that is butter cream icing. 10. Having the patience to fire roast a marshmallow to the perfect golden brown. 11. The flavor of perfectly ripened fruit. 12. Dipping a good piece of chocolate into a jar of REAL peanut butter (not that sugar laden crap) and then chugging it down with some super cold milk. 13. A perfectly cooked pasta. 14. Dipping pretzels into hummus. 15. The smell of freshly ground coffee and that first sip of it in the morning. 16. The flakiness of a croissant. 17. Turning butter into lipstick. 19. Rolling a hard boiled egg on a napkin that has been pre-salted and peppered. 20. Pulling out a honking piece of crabmeat from its shell and dunking it into lemon butter. 21. Teaching someone how to get the honking piece of crabmeat from its shell. 22. The smell of bacon in the air. 24. Pulling off a perfectly cooked steak. 25. An olive oil so tasty you could do shots of it. And want to drizzle it on everything. Ice cream included. 26. A sip of a really big, bold red wine. 27. Punching down freshly risen dough. 28. Biting into buttery hole-filled English Muffins. 29. When you finally perfect the meatball. 30. Biting into cold watermelon on a hot day. 31. Freshly baked bread. The smell, the taste and the way it feels. 32. The way a glazed doughnut melts in your mouth. 33. The popcorn kernels that didn't quite reach their destiny. 34. Eating whole peanuts. Shells and all. 35. Opening a beer with a lighter. 36. A cheese that smells so bad you couldn't imagine eating it, but when you do, it tastes so good! 38. 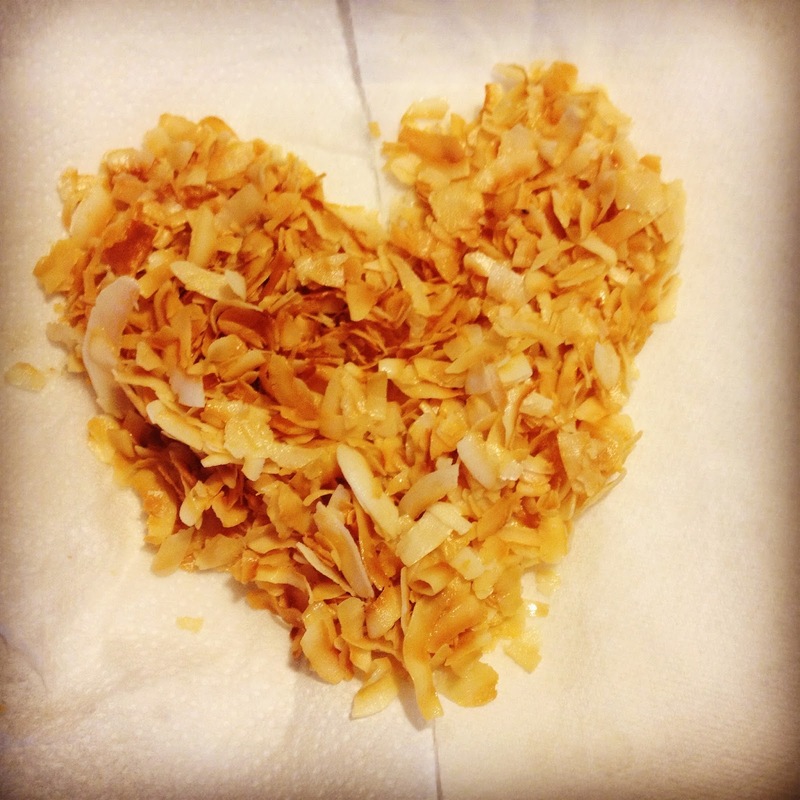 The smell of toasted coconut. 39. The amount of energy it takes to catch a fish. 40. The smell of garlic on your hands. Also, walking into a home that smells of garlic. 41. Honey. Cause bees make honey. (inside joke - when my niece was little we used to ask her, "What color are Aunt Jessie's eyes?" and she would always say, "Honey. Cause bees make honey." 42. Eating something straight off the vine. Gardens. Planning them. Planting them. Tending them. Harvesting them. Gardens are awesome. They remind me of saltwater fishtanks in that you can watch them all day and you will discover that they do so many amazing things throughout the day. Wow. There are many wow's in gardening. 43. Trying new foods and wondering how you've lived life thus far without them. 44. The way foods from your childhood make you feel all warm and cozy. 46. The crispy, fatty pieces of a ribeye. 48. Experiencing someone experiencing raw oysters for the first time. 49. The first time you pull off a gourmet meal and don't burn anything. 50. Watching someone else enjoying eating. Like seriously enjoying it. So much so you can see the passion. I know artichoke in butter is yummy, but I grew up eating mine dipped in Italian dressing!! You should try it sometime. Sounds delicious. Will definitely try it.